If you are following the HOPA releases to play all the best of them, you shouldn't miss this one. Cadenza: Music, Betrayal and Death Collector's Edition is a great game with a mystery for you to solve and some jazz to enjoy. The gameplay is custommized on every difficulty level. 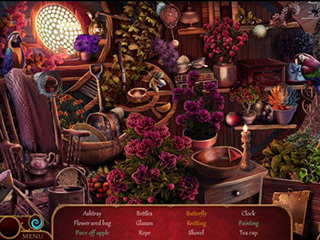 There are a lot of puzzles and hidden object scenes. You are coming to New Orleans to visit your father at him but when you enter his club you realize theat there's something wrong with everyone. They seem to be in some sort of hypnose. There's a lot to discover both about the situation and your father. The game's graphics are absolutely gorgeous. The outdoor scenes are very romantic and charming anf the indoor scenes are beautiful. All the sounds match the time and the place. This aspect of the game is really enjoyable. The gameplay is custommized on every difficulty level. 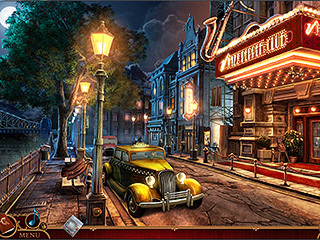 There are a lot of puzzles and hidden object scenes. The puzzles are fun and well thought through. The hidden boject scenes come in different types one of which seems to be something new. There's a jump map to transport you to places and a hint to help you if youare lost. There are colllectibles, morphing object and achievements as well as other CE content to enjoy on your way to the mystery behind the events. The game is excellent and should be considered by all the fans of the genre and those new to it too. This is Cadenza: Music, Betrayal and Death review. Download this game here.